The Northwest part of the Las Vegas Valley makes up MLS area 401, 402, 403, 404, and 405. When buying a house in one of the Northwest Las Vegas zip codes, knowing the differences in these areas can help you make a decision on which area might be for you. When selling a property, you’ll want to know how home values compare. 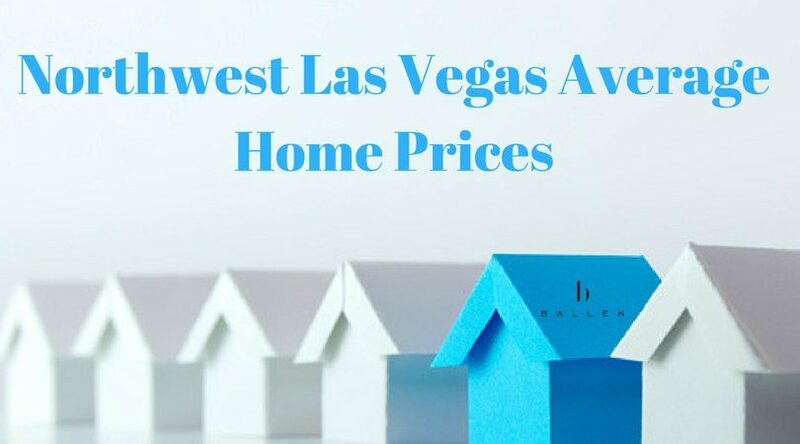 It’s also a good idea to know how each zip code, the area of town, and MLS area compare to the rest of the greater Las Vegas Real Estate Market. Over the past 5 years, the Northwest has grown year over year in average home prices for sold combined units including single family homes, condos, and townhouses. Single Family homes in the Northwest ended 2017 at $309,341. The Northwest Las Vegas Condo Market has been in flux, but 2017 finished off with a strong increase in average home price at $129,594. At the time of this report, there were 89 Condos in available status in the MLS ranging from prices $71,000 to $1,125,000 showing how our neighborhoods reflect vast price differences. The biggest increase in the Northwest housing market has been in townhouse sales. Townhouses in Vegas are styled more like single family homes generally yet are attached. The average sales price for a townhouse in 2017 was $190,192. When you think of a Las Vegas High Rise, you might think of the Las Vegas Strip. Actually, high rises can be found all over the Greater Las Vegas area including the Northwest. This area features higher priced luxury style high rise condos. The average high rise in 2017, sold for $1,662, 357. This average was taken from 169 high rise units sold in the Northwest. These can be found in MLS area 404. 2017 was a good year for Northwest Las Vegas. Take a look at this report and see how single family homes, condos, townhouses and high rises stacked up year over year for the past 5 years including the end of 2017.